LAHORE: The rain-storm that lashed Karachi Saturday, followed by the cyclone that hit the Sindh and Balochistan coast Monday and Tuesday, has caused the loss of at least 250 lives. Whereas no force known to man can prevent natural disaster, the fact remains that many of these deaths could have been prevented. HRCP is convinced the colossal damage to houses and the huge loss of life is largely a consequence of official indifference to the situation in which most citizens live, a lack of disaster readiness and poor relief efforts. Most victims of the storms have been the impoverished, who live in inadequate houses that offer minimal protection. According to some initial estimates, every third house in the sprawling ‘katchi abadi’ of Orangi, housing many of Karachi’s poorest people, has been damaged. Those whose houses crumbled around them in heaps of mud and timber report receiving no official assistance or support. The fact that the giant billboards that have destroyed the cityscape in all major centers claimed so many lives in Karachi is scandalous, as are the inadequacies of a power-supply mechanism which has collapsed entirely after the 45-minute storm, leaving citizens without electricity for hours or even days. The chaos that erupted in Karachi after the storm followed by panic across coastal areas of the country generated by the cyclone also belies a complete lack of disaster-readiness. Quite obviously, the pledges made in this regard after the October 2005 earthquake have remained unfulfilled and were only another of the lies rulers repeatedly tell citizens. HRCP demands expansion of speedy relief to victims of the disaster, and that an independent body be set-up immediately in Sindh and Balochistan to assess damage on the spot and identify the factors behind it. These factors include long years of indifference to the deprived, and further loss of life in the storms that will inevitably come in the future can be averted only by addressing the basic needs of people. Our interns produce some very interesting reports every year and this time round when they are done I’d like to share them with you. Sometimes their work provides valuable insight and information that is otherwise not been discussed or explored. By the end of august I’d like to start putting up their reports, researches, trend analysis etc. Hope you find some good reading in it! LAHORE: Less than 24 hours after the attack on an alleged madrassah in North Waziristan that killed at least 22 persons, there are already indications that feelings of hatred and anger are rising in response to the incident. HRCP condemns the failure to provide an accurate account of the incident and that loss of life of persons who have not been identified, and must be presumed innocent unless proven otherwise. Whereas we have consistently opposed all forms of militancy, HRCP reiterates the acts of violence of this kind will only lead to further attacks and a still greater loss of life. The people of Pakistan are not dispensable commodities who can be killed in such a fashion. It is also saddening that the government of Pakistan has declined to provide details of the incident. The statement by the ISPR, that a blast occurred within the madrassah, is hardly credible in the light of eyewitness accounts regarding the involvement of a US drone. Similar lies have been told before – following attacks in Bajaur, Balochistan and elsewhere. HRCP would also like to state that attempts to either strike dubious deals with militants or to annihilate them, both of which have been attempted in Waziristan and elsewhere, will not serve any purpose. Indeed, attacks conducted in secrecy will only lend support to the militant causing by arousing a sense of outrage among citizens who have been kept in the dark regarding the so-called ‘battle against terror’. In the longer run, militant violence, which has taken deep root in Pakistan – and is supported by thoughtless statements such as that recently made by the minister of religious affairs – will only grow unless holistic and wide-ranging measures are taken. These must include measures to address the acute socio-economic needs of people and to re-build the levels of tolerance that have slumped lower and lower over the last few decades. 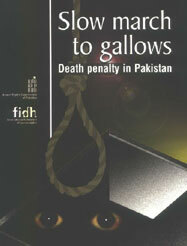 HRCP Publications can be viewed online at the Publications Archives page on our website. Also Available online are our regular publications Jahad-e-Haq and the Newsletter. 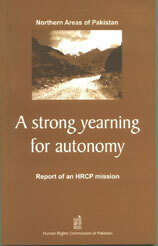 Not many people know that the HRCP Annual Report is available online on our website and can be downloaded for reading. Although a bit late in the year – well literally half way down the year – I bring to you the HRCP Annual Report 2006 on the HRCP Blog! Press Release, Lahore, June 13: The Human Rights Commission of Pakistan on Wednesday urged the government to keep in mind the recent recommendations on juvenile justice by the UN Committee on the Rights of the Child while reviewing the Juvenile Justice System Ordinance (JJSO). The HRCP letter was addressed to the Ministry of Law, Justice and Human Rights, the Law and Justice Commission, and the National Commission for Child Welfare and Development. The Committee adopted a General Comment on juvenile justice, to help States parties develop and implement a comprehensive juvenile justice policy and prevent and address juvenile delinquency, in line with States parties’ obligations under the Convention on the Rights of the Child (CRC). Pakistan is a signatory to the CRC and in July 2000 introduced the JJSO, which focuses on the child in the criminal justice process. The JJSO provisions largely remain unimplemented in Pakistan. HRCP has previously highlighted areas in the JJSO that require improvement, including better implementation. HRCP asked the government to make the best interest of the child the primary consideration in all decisions taken within the context of the administration of juvenile justice. It invited the government to consider in particular the measures highlighted in the new General Comment for dealing with children accused of infringing the penal law, the minimum age of criminal responsibility, guarantees for a fair trail, alternatives to court convictions for children, and various facets of deprivation of children’s liberty, including pre-trial detention and post-trial incarceration. HRCP said that in line with the UN Committee’s observation, the government should seek to deal with children accused of infringing the penal law without resorting to judicial proceedings. It said that even when judicial proceedings are initiated against children as a measure of last resort, all components of the principle of fair trial must be applied. HRCP emphasized that the child, like all accused, has the right to be treated in accordance with the presumption of innocence and is only guilty if the charges against him are proved beyond reasonable doubt in a court of law. Welcome to the first official blogpost of the Human Rights Commission of Pakistan (HRCP). With this blog we hope to be in regular touch with you, update you with information and our progress, and get your feedback. Your comments will make a valuable addition to our cause. We hope to update monthly or bi-monthly in the beginning and later hope to make it more regular. In the new age of communication, Internet is the new horizon for political discourse and it aims to involve all those who can participate. You don’t have to be a qualified expert to give your recommendations, views and suggestions. Consider this an open forum where you can express yourself. While criticism is appreciated it must be known that abusive language, personal attacks at people, complaints and advertisement is not allowed and will not be tolerated. We would like to thank Mr. Abe Olandres and Ms. Gulmina Bilal from the Friedrich Naumann Foundation (FNF) who have trained us and made us a part of this virtual world. We hope to be part of the first generation of bloggers in political discourse in Pakistan. And we hope you help us make this possible.